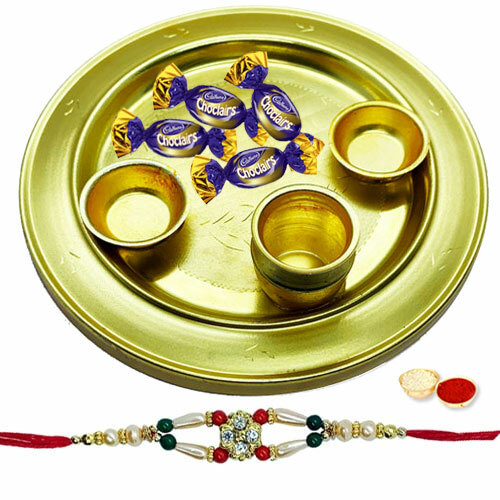 Pray for the good fortune of your dear brother, cousins or close people by ordering for them this Fabulous Gift of 4 Choco Eclairs placed in a Adorable Silver Plated Thali complemented beautifully with a free Rakhi, Roli Tilak and Chawal on this Raksha Bandhan. The size of the Thali range from 5 to 6 inches. The formation of the Rakhi may comes with alteration.